Lifetime value (LTV) is at the very heart of app marketing because it informs marketers on how much they can spend to acquire a user and still remain profitable. As paid traffic is becoming increasingly important for apps, measuring and acting on LTV is therefore paramount to success. 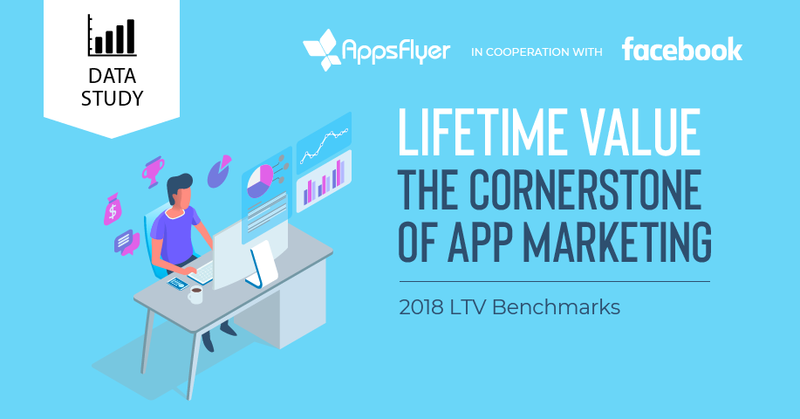 To help app marketers optimize their LTV, AppsFlyer teamed up with Facebook to create Lifetime Value: The Cornerstone of App Marketing. This report analyzed $2.4 Billion in revenue generated by 3,800 apps worldwide during early 2018. It provides multiple LTV-related benchmarks for key verticals across key markets: organic vs. non-organic revenue, Android vs. iOS revenue, average revenue per user (ARPU), number of purchases per user, first-purchase distribution, and more. 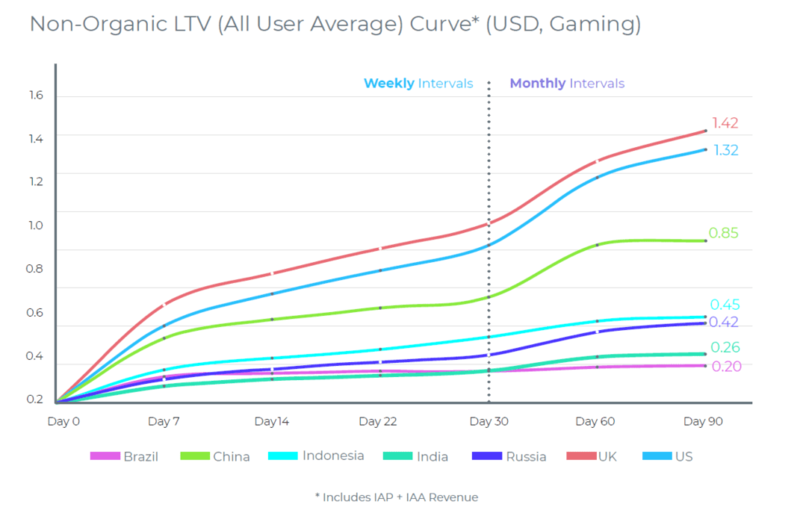 For example, the chart below shows that gaming apps generate most of their revenue early on, with the mature US and UK markets well ahead of other top markets. China is also demonstrating that it is a powerful country for gaming, generating significantly more revenue than other markets. Another example shows that roughly 50% of paying shopping app consumers purchase multiple times within a 90-day period. UK shoppers are leading the charge with an impressive 63% rate.